eCertify encourage Freight Forwarders to process Certificates of Origin electronically. 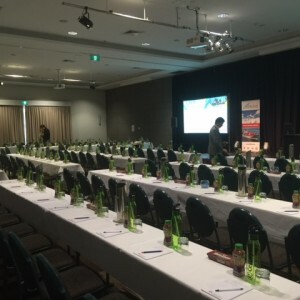 Over the past few months eCertify have attended a number of the Customs Brokers and Forwarder Councils of Australia (CBFCA) Regional Conferences as well as the Australian Federation of International Forwarders Conference (AFIF). CBFCA and AFIF represent the interests of hundreds of members across the international trade, logistic and supply chain management services industry. 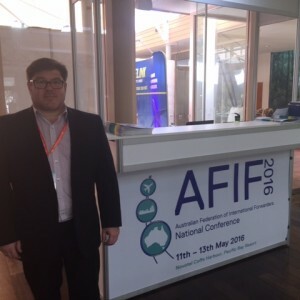 At the AFIF event in Coffs Harbour, eCertify were a sponsor and provided the delegates with a branded water bottle during the conference. Their events provide networking opportunities between their members and other industry influencers including government representatives, experts and allied affiliates. 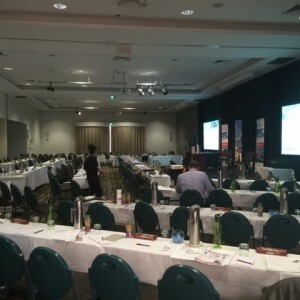 The Regional Conventions delivered to the attendees an informative and education day of presentations from regulators and respected industry professionals on issues that will assist members in their daily business activities and professional careers. There were captivating talks on a range of issues affecting Freight Forwarders including trade and customs compliance, ethics in the life of a licensed customs broker, helping industry comply with the prohibition on importing asbestos, changes to air cargo export security requirements and more. One of the key talking points at the conference was the proliferation of Free Trade Agreements and the ways in which countries are enforcing them. eCertify already caters for a number of FTAs for Australia and the US and this number is ever-increasing as new FTAs enter into force. It was great to speak to people in the Freight Forwarding industry about the benefits of electronic certification of Certificates of Origin as we are well and truly living in the digital age. eCertify looks forward to working with the CBFCA to spread the message on electronic certification within Australia and across the globe. AFIF thanked us for supporting their organisation with our sponsorship.